Spells, Hex and Curse Removal, Spiritual Cleansing, Baths, House Blessing. Get a curse removed. Do you feel that your life is plagued with bad luck? Do you feel overwhelmed with negative energy? Do you feel cursed? Or maybe you just feel down, tired of trying, and wonder what's wrong with your life? If you feel any of these things then it is possible that you will benefit greatly from removing the negative energy in your life, whether is has been brought on by a hex or curse or not! Stop suffering the agony of hexes, curses, and negative energy!! We offer several choices for helping yourself get rid of the negative energy in your life and start anew. Bring peace and serenity into your life. Let go of pain, trauma, and emotional distress. It is entirely possible to feel good about your life again. Don't be controlled by negative emotions, take control of your destiny. All the products below are authentic and consecrated to bring you the most powerful spiritual cleansing available anywhere. A powerful 4-in-1 kit to remove even the strongest hex, curse, or extreme negativity from your life. The biggest and most complete kit of its kind available anywhere, hands down! Includes an emergency pack for immediate relief, the Marie Laveau Clean Sweep House Blessing™ Kit, and two other powerful stages to make this an extraordinary kit. There is a great amount of unique, sacred items in this kit including candles, herbs, incense, waters, signs, symbols, amulets, talismans, holy oils, washes, and more. This kit can be used for extreme negativity energy brought on by traumatic life experiences and/or to remove hexes or curses. Changes even the worst luck. 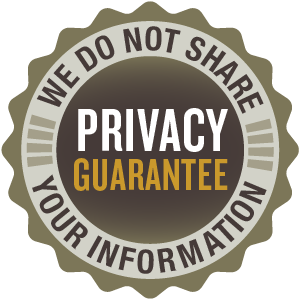 Includes complete, detailed instructions and our free technical support. This kit truly is an amazing value with all of its wonderful components! Special DELUXE VERSION of Lady Samantha's Hex Removal™ Kit: Includes the hex removal kit in its entirety as described above AND the Milk of Damballah™ White Bath Kit below. Use this deluxe combination for cases of extreme bad luck, prolonged negativity, or to remove powerful hexes or curses. 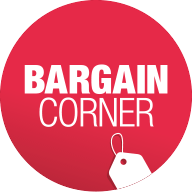 Includes all ingredients mentioned above and complete, detailed instructions as well as our free technical support. as well as a full-sized bar of our handmade soap, candles, full instructions, and other items as per the individual kits. 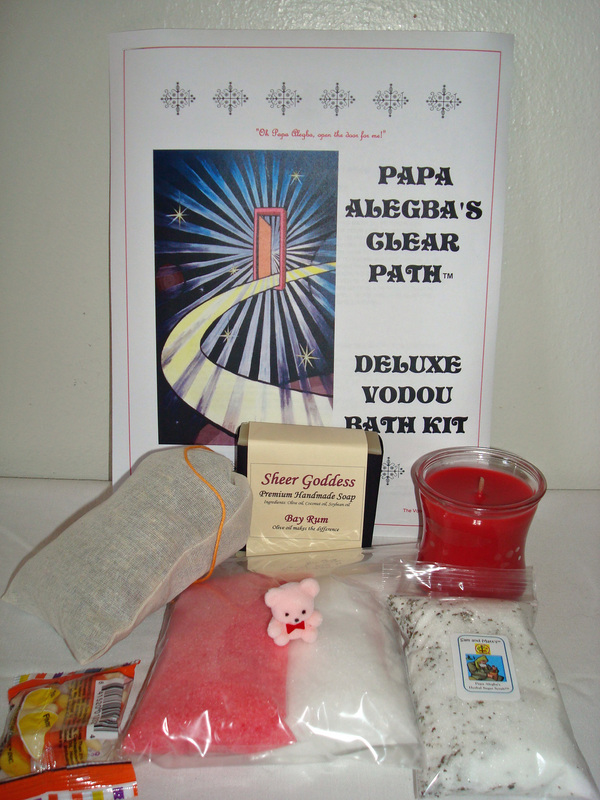 We are extremely proud to offer Haitian-formula Vodou Baths. These baths are carefully crafted based on Haitian Vodou formulae learned by Mambo Sam as part of her initiation as a Mambo Asogwe in the Haitian Vodou religion. While most of our products are based on her family traditions and initiations in New Orleans Voodoo, these baths are part of the Haitian tradition of cleansings and blessings. Every bath is dedicated to a particular Vodou spirit (lwa) and represents their area of expertise and blessings. All the herbs used in the baths are organic and the baths are prepared in the traditional Haitian way. Kits include the blessed herbal bath mix, bath salts, candles, soaps, sacred waters, as well as other sacred items. (Ingredients vary by kit.) Complete instructions are included with each bath. Help you clear the path to your goals. Receive guidance and wisdom from Papa Alegba. Bring clarity and peace to a situation. 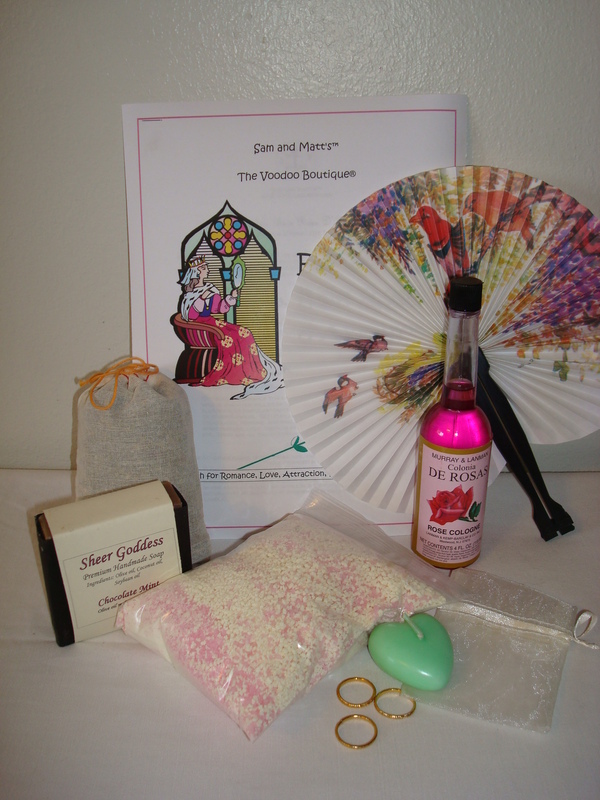 Enhance your relationship with the Vodou spirits. Great for beginning or wrapping up spell work. Return something/someone you have lost. Much more: This kit in particular has so many uses due to the fact that Papa Alegba, of course, is our link to the spiritual world. Therefore, you can customize the usage of this kit in many ways. Assist in removing negativity, bad energy, depression, emotional scars, etc. If you are planning on doing other spell work, this bath is a great way to start spiritually clean on your magickal endeavors. Bring wisdom and guidance to a confusing situation. Bring peace, comfort, and calmness. Assist in boosting your personal power. Help you power over a difficult situation or person(s). 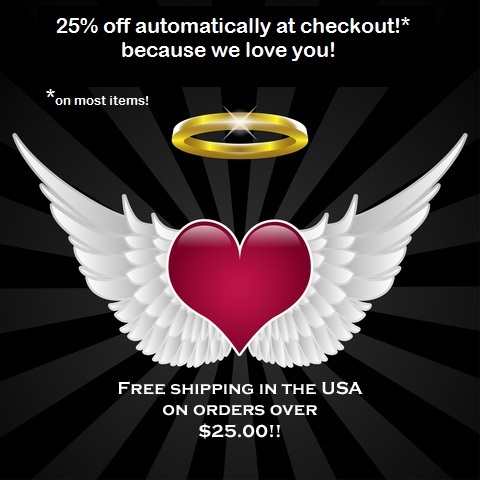 Help you gain spiritual strength and fortitude. Enhance physical, mental, and spiritual strength. Receive guidance and protection of General Ogoun Feraille. This bath is wonderful if you feel your strength waning, if you have to overcome people who seem to be working against you, or if you just feel a general weakness and malaise in your life. Enhance your ability to attract love of all kinds into your life. Bring solutions and soothing to troubled love relationships. Create and aura of luxury and pampering that is good for the soul. Prepare yourself for love spell work (or do during love spell work). Assit in removing negativities from prior traumatic love experiences to pave the way for new, healthy love relationships. To renew life - start over, start a new project after failing at another, etc. To, for once and for all, put something in the past (bury it) never to bother you again. To strengthen your resolve to see something to its conclusion. To celebrate Fet Ghede and honor The Baron and Maman Brigitte. To enhance magickal powers and psychic powers. ... and much, much more which will be explained in the kit's instructions. Wealth and financial security (remember LaSirene and Agouer rule the riches of the sea). Power - personal power, empowerment over a situation. Petition to be in a loving relationship with another - specifically to be a couple, especially to be a married couple (calling on the ageless love of LaSirene and Agouer). To heal and strengthen a relationship that has been damaged. To ask that something or someone be dragged to the bottom of the sea and out of your life forever. BATH REPLACEMENT/REFRESHER PACKS: These are NOT the full bath kits. This is the herbal bath mixture ONLY. These should only be used if you have already done the original bath kit at least once. For instance, if you have done a Milk of Damballah™ bath kit several months ago and you are feeling the need for another one. You can choose to either do the whole bath kit again OR use the refresher pack to just call back upon that same energy again. Again, sorry to repeat myself, but these are not the full bath kits - just the herbal bath mixture for purposes of refreshing an older bath kit you have already completed. The classic New Orleans Voodoo Candle used to "hurry up the magick!" Burn this candle along with any other magickal workings you are doing to get a faster result. San Expedito (Saint Expedite) has been used for generations by magickal practitioners who want to get their results more quickly. This is a 7 day candle (encased in glass), consecrated for you. 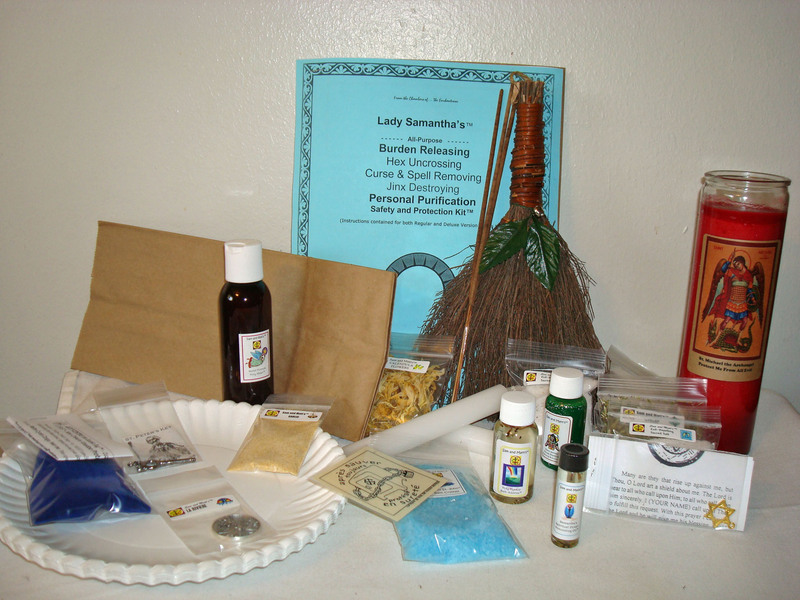 Clean Sweep™ Kit contains broom,incense,wash,candle, instructions, and more. 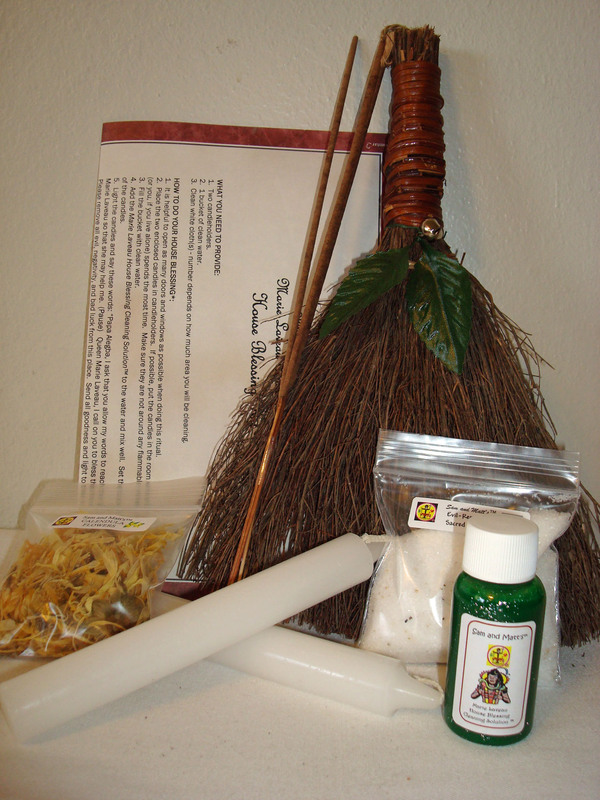 MARIE LAVEAU CLEAN SWEEP™ HOUSE BLESSING KIT: Complete kit for cleansing all the bad energy out of your home. Includes all blessed equipment for cleansing. Especially useful if you are using the Milk of Damballah™ White Bath Kit. Cleanse yourself and then cleanse your home for the ultimate in fresh starts with positive energy flow! LOTS-A-LUCK&TRADE; SPELL KIT Once you have cleansed and are ready to bring the good luck into your life, use this spell kit. Complete 9-day spell kit includes all the magickal ingredients you need to cast the spell; candles, herbs, magickal oil, gris-gris bag, and much more. This kit is also available for a dual or solo casting with Rev. Corfield. 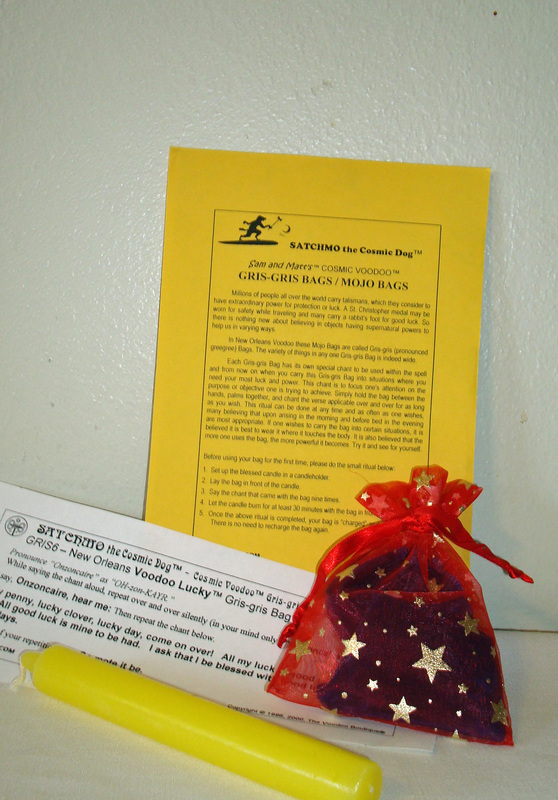 All gris-gris bags include the bag,candle, and complete instructions. VOODOO PROTECTION BAG: Carry this powerful, consecrated gris-gris bag filled with herbs and other items for spiritual and physical protection. Kit contains complete instructions, candle, and bag. VOODOO LUCKY BAG: Carry this powerful, blessed gris-gris bag for luck in all matters. Great for gambling, lottery, and other games of chance as well as general luck. Filled with herbs and other magickal items. Kit contains complete instructions, candle, and bag. Contains genuine High John root (either one large piece or 2 or more smaller pieces),carry bag,feeding oil, and complete instructions. 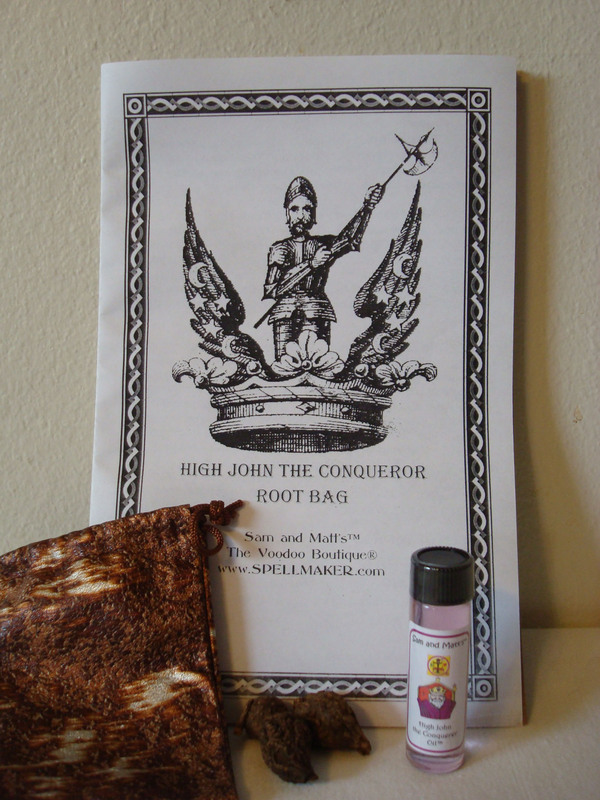 HIGH JOHN THE CONQUEROR ROOT BAG KIT: Considered by most spiritual practitioners as the most powerful tool you can use to enhance any magickal work. The longer you have it, the stronger it becomes; a very personal power tool. Strengthens and fortifies the magick and the magickal practitioner, brings good luck, helps with negotiations and contracts. A "must have" for any spell work. Contains leather bag, genuine High John root, feeding oil, and instructions. WHITE MALE IMAGE CANDLE KIT: Use this candle kit to help burn away negativity for yourself or another male. Also used to enhance spiritual endeavors, strengthen psychic abilities, and send healing energy to yourself or another male. Contains white male image candle, herbs, magickal oil, and instructions. Unable to do your own candle work? Mambo Sam and Parran Matt now offer a candle burning service for you! WHITE FEMALE IMAGE CANDLE KIT: Use this candle kit to help burn away negativity for yourself or another female. Also used to enhance spiritual endeavors, strengthen psychic abilities, and send healing energy to yourself or another female. Contains white female image candle, herbs, magickal oil, and instructions. 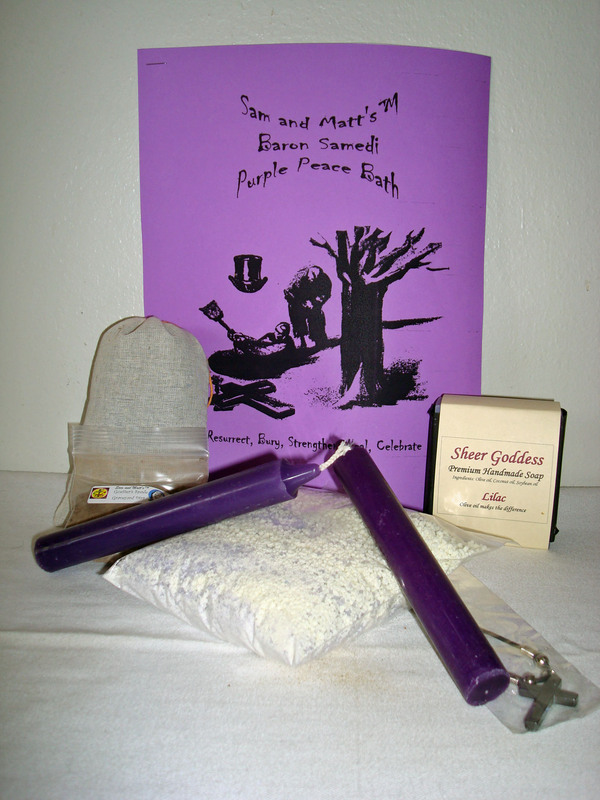 (Candle magick kits are $19.95 each. They are also available in a 3 pack (see below) for Rev. Corfield's recommended triple strength "Body, Mind, Spirit" work. This allows you to heal, remove negativities, etc., from a person "Body, Mind, and Spirit" - covering all levels of the human condition. Special instructions for this intensive candle work are included in the 3 pack. Order 3 pack below, and receive a discount as well as a FREE incense pack to use to strengthen the candle magick work. Check out our budget-friendly spells!